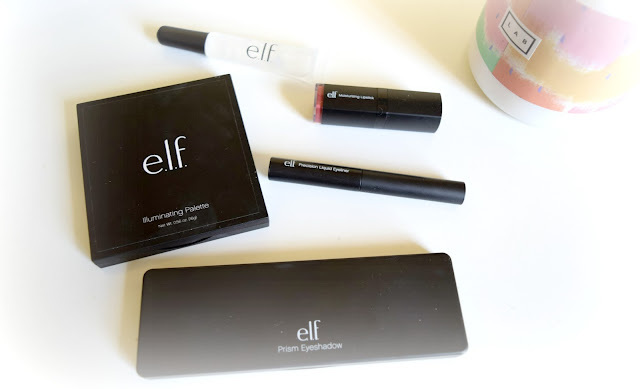 The people over at e.l.f were lovely enough to send me some new products for their beauty squad Novemeber box. I know you must be wondering what took me so long and the answer, I'm sure you loyal readers would already know, is university. Sadly, I've had no time to do this post other than today so without furhter ado let's get started! I was super excited when I got this in the mail and even more excited once I saw the gorgeous packaging. I don't know what you guys think but I definitely feel like e.l.f. has stepped up their game in this department. The first item I'm going to talk to about is the Illuminating Palette. 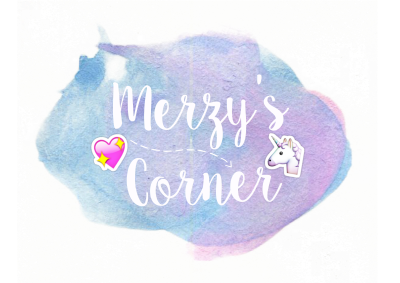 As you can see by the picture, it's a bit messy because I've been absolutely loving it and using it whenever I can. When I say these colors are gorgeous, I really do mean it. 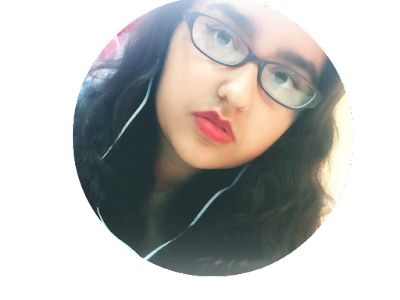 They work really well with my skin color and they look very natural. The Prism Eyeshadow is one I really enjoyed playing around with and haven't dealt into the many color variations and looks I could try. As far as the colors go, I received the second choice for this palette which shows a combination of oranges and purples. 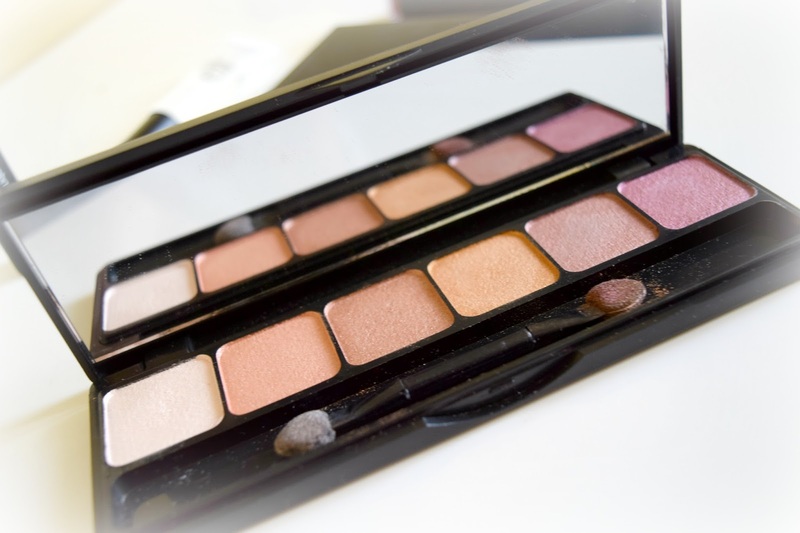 If you're the type of person who prefers matte eyeshadows, I would advice you to skip this one because it's very glittery, even though the color payoff is surprisingly amazing for an e.l.f palette. I could talk for hours about the Precision Liquid Eyeliner I received. It's exactly what the name suggests, it's for precision, so it does its job perfectly. The color is probably not as opaque as some people might want it to but a couple of tries and that's no longer an issue. 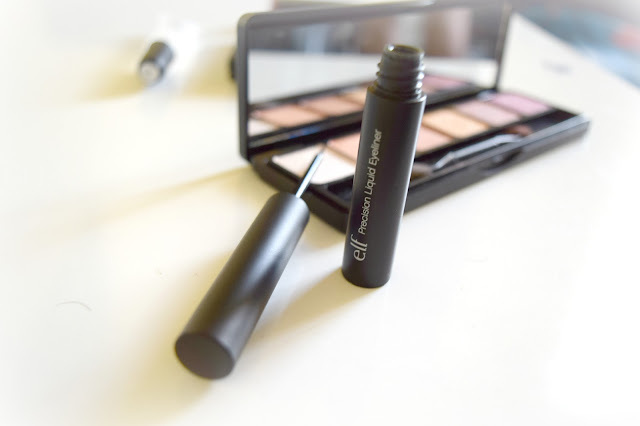 As for the durability, I haven't completely tested this out, considering I usually avoid eyeliner if it's hot outside, but I think it works really well on every-day weather and it doesn't disappear at the end of the day. Like I said, I haven't tested this out completely so this might change under different conditions. The next two items are the Moisturizing Lipstick in Marsala Blush & the Kiss it Goodbye Lip Color Removal which, I have to admit, haven't tried. oops. I don't have any excuse for the lipstick removal but as for the lipstick, it doesn't smell that good? And by that I mean, it has a scent which is a very big turn off for me. It doesn't necesary smell bad or anything, I just don't like that it has a scent. I'll probably try it some day soon but as for right now, I have no knowledge about this lipstick or how good it wears or anything of that sort. The last thing that I got was the Mattifying Blotting Papers which I forgot I received because I used it so much that I just presumed I bought it. So, that's why there's no picture of that... because I literally just remembered. I love this thing, okay? I still haven't completely figured out how to use it or know 100% what it's for, but whatever. lol. Here's a complete look of most of the products I just discussed (excluding the lipstick) and that will be all, babes! What are your favorite e.l.f product? 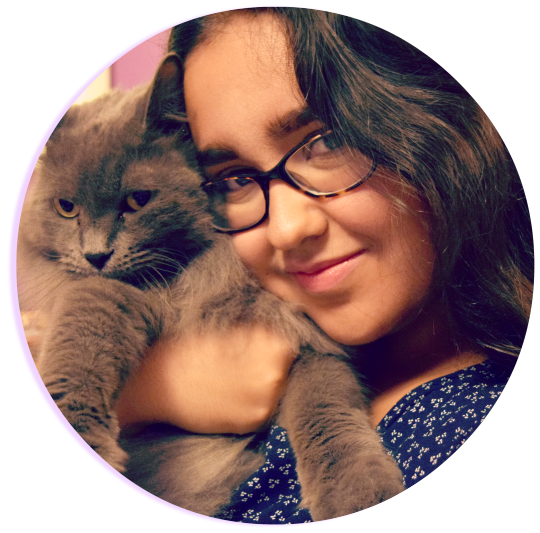 Don't forget to follow me on bloglovin' and follow @elfcosmetics over at twitter & instagram! Oh my, that eyeliner looks like something I'd love! Too bad we don't have any e.l.f products available here in Finland. 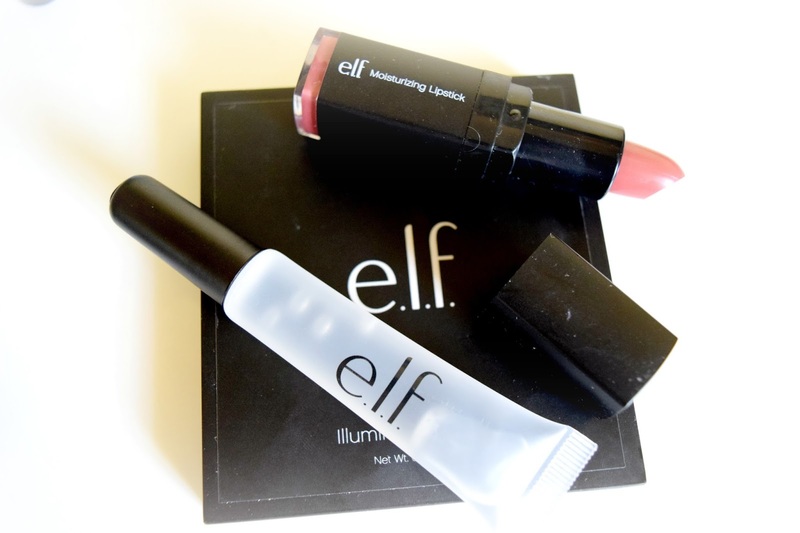 Love your review on these Elf products and love your makeup look! 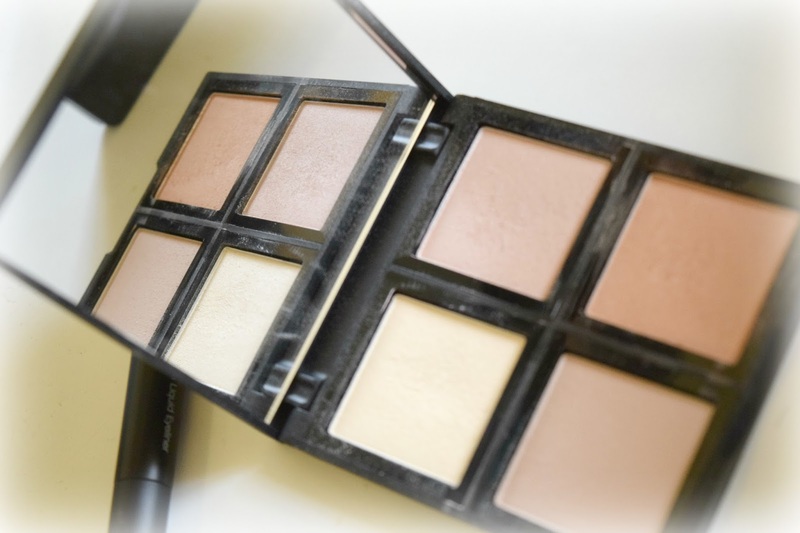 I've been wanting to get into their face palettes like this illuminating one! I've also heard such amazing things about their Prism eyeshadows so I think I'll be checking these out next time I hit up Wal-Mart or CVS!